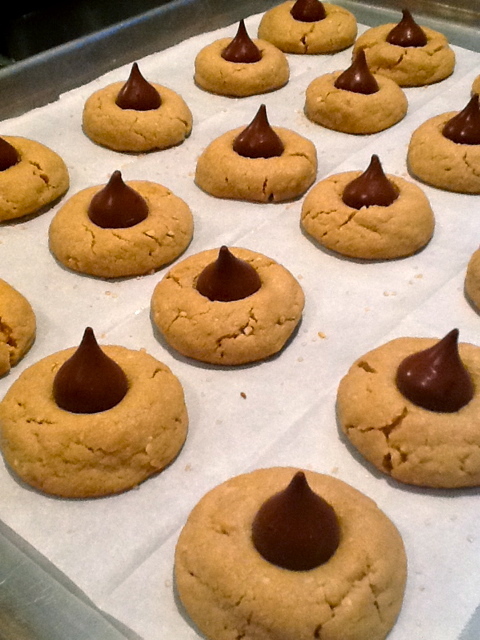 Any Hershey’s Chocolate Kiss—dark, milk, white, or “Hugs”—works in this recipe. 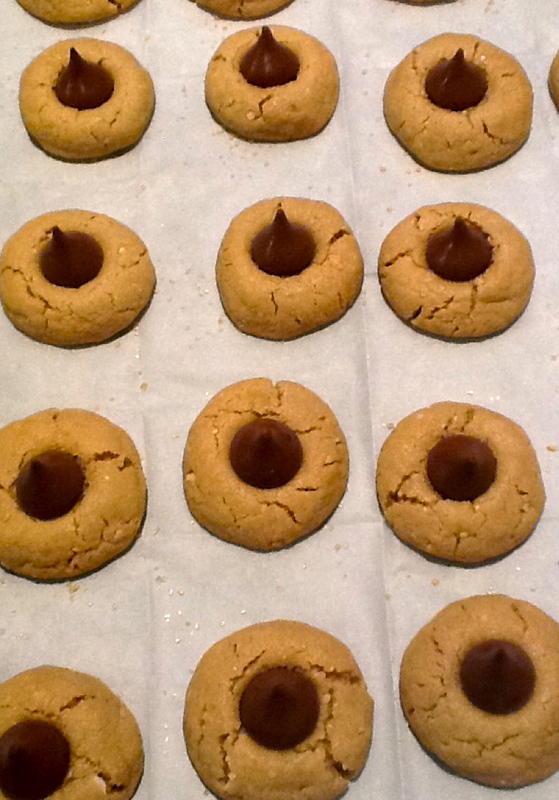 For best results, the cookies should be baked on the middle rack, one baking sheet at a time. This recipe can be cut in half. 1. Adjust oven rack to middle position and heat oven to 350 degrees. Line two baking sheets with parchment paper. 2. Whisk 1 3/4 cups flour, salt, baking soda, and baking powder together in medium bowl. Process remaining 1 cup flour and peanuts in food processor until ground, about fifteen 1-second pulses, then stir into flour mixture. 3. Beat butter and sugars together in large bowl with electric mixer at medium-high speed until fluffy, about 3 minutes. Add peanut butter and continue to beat until combined. Add eggs, one at a time, beating after each addition, until incorporated, about 30 seconds, then beat in vanilla, stopping to scrape down sides of bowl, if necessary. Reduce speed to low, add flour mixture in two batches, and mix until incorporated. Cover bowl and refrigerate dough until stiff, about 30 minutes. 4. Roll 1-inch balls of dough and space 2 inches apart on baking sheet. Bake until just set and beginning to crack, 9 to 11 minutes, rotating baking sheet from front to back halfway through baking (while cookies are baking, place additional balls of dough on second baking sheet). 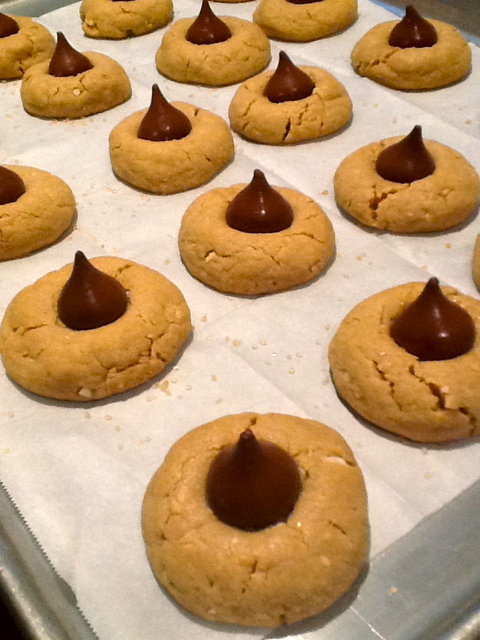 This entry was posted in Recipes, Sweets and tagged Hershey Kisses, peanut blossom cookies, peanut butter.